3: Jeanie Marie Kraft, L.Ac. On August 30, 2011, the Acupuncture Center of Salem is closing. Sign Up Here for the Qi Mail Newsletter! 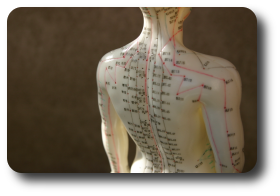 Acupuncture is a time-tested clinically effective solution to the stresses and health problems of our modern times. The effects of acupuncture and herbal therapy are gentle yet very effective for a wide range of health problems. Discover this holistic healthcare system for yourself. Norman Kraft, L.Ac. and Jeanie Kraft, L.Ac. 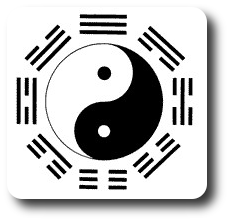 offer acupuncture and Chinese medicine from offices located in Salem, Massachusetts. From the treatment of illness or injury to relaxation, stress-relief and preventative healthcare, Traditional Chinese Medicine is a holistic approach to health and healing, and our clinic provides a warm and caring environment for our patients. On August 30, 2011, the Acupuncture Center of Salem is closing. We thank our patients for making us part of their lives. At this time we are not accepting new patients. Get acupuncture for your dog too! Click here for Jeanie Marie Kraft, L.Ac. 's Four Paws Acupuncture. "East Asian medicine has made a dramatic and unlikely migration. No longer confined to locations such as Shanghai, Seoul or Singapore, it has become a vibrant component of health care from Sidney to Seattle to Stockholm. Chinese Medicine is now international. Acupuncture and Oriental herbalism have become as commonplace and 'indigenous' in Boston as in Beijing." - Ted Kaptchuk, OMD in "The Web That Has No Weaver." Next page: Norman Kraft, MTOM, L.Ac.